So, you’re looking to get your sweat on at home? Good for you – you’ve made a great choice! Decades worth of scientific research shows, without a shred of doubt, that regular exercise is incredibly good for your health – both physical and mental. And here’s the thing: You don’t need to spend a dime to be able to reap those health benefits. Some open floor space and a good deal of motivation is all you need to do high quality workouts that’ll get you very fit and strong, and looking damn good too! That said, investing wisely in good quality home exercise equipment will help you accelerate your physical development. 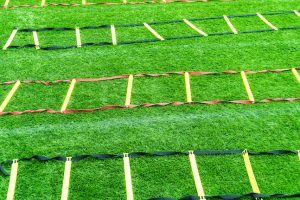 Also, if you have goals that you want to reach, such as improving your performance in a certain sport, or building the strength needed to effectively perform a particular job, then specific equipment will be necessary. Here at The Home Fit Freak, we know a thing or two about good quality home exercise equipment. That’s why we’ve put together this article on the best home exercise equipment to help almost anyone get to where they want to be in terms of their health and fitness. We’ll get this out of the way immediately: In this specific article, when we talk about ‘weightlifting’ we’re not talking about Olympic Weightlifting, but rather ‘lifting weights’ more generally. This includes lifting free weights and using machines. Weightlifting is not the only effective form of strength training, but it is definitely the most effective form. Strength training has received a lot attention in the scientific community in the last few decades. This is primarily because research has found that developing muscular strength through resistance training has a huge range of health benefits. For example, it’s been found to reduce the risk of colon cancer, improve bone density and strength, and increase overall aerobic capacity. Plus, you can’t achieve that great athletic body shape without building some muscle. 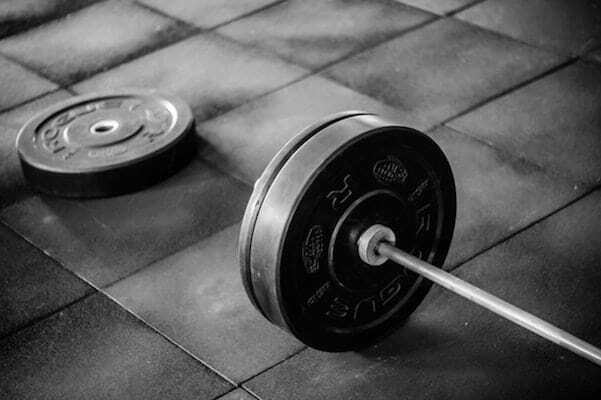 For these reasons, good weightlifting equipment is worth its weight in gold. Barbells, and the exercises we do with them (e.g., the back squat, deadlift), are by far the most versatile and effective weightlifting / strength training equipment humans have invented. The extensive range of exercises that can be completed with a barbell allows you to pack on muscle and develop a good deal of both general and specific strength. Check out our extensive guide to best barbells and barbell sets currently available. 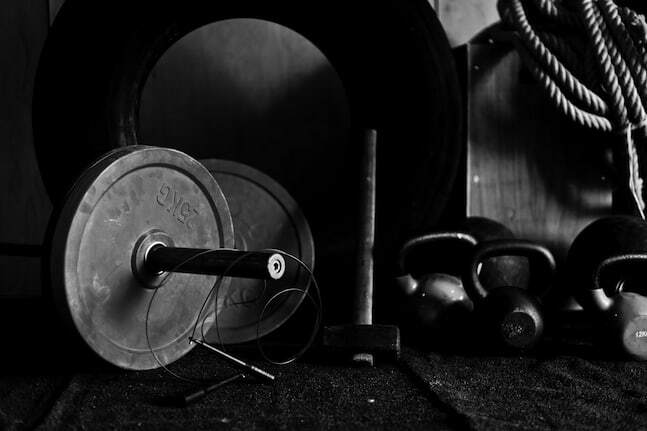 Everything you buy with and for your barbell will depend on which type you choose. Despite their name, standard barbells are anything but standard. 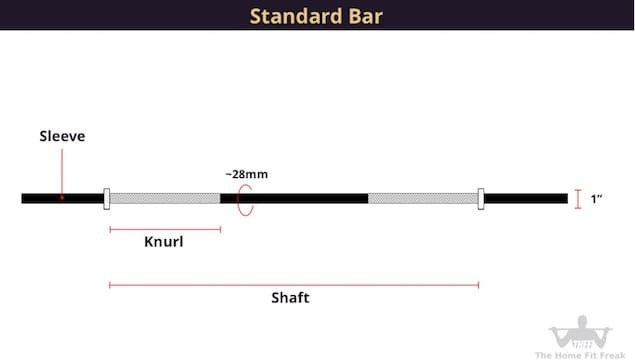 Depending on the manufacturer, standard bars can vary greatly in their length, diameter and weight. For this reason, they aren’t made for people that are really serious about lifting weights. They’re not used in competitions, and aren’t suitable for accurately assessing your strength progression. Standard barbells are significantly cheaper and easier to maintain than Olympic barbells, and reasonable quality ones are generally more accessible. If you’re just looking to add some muscle and / or strength building exercises to your workouts, or you want to do weighted cardio programs / exercises like bodypump or RIP, then a standard barbell will be more than adequate. York barbell offer good quality standard barbells and weight plates at a reasonable price – check them out on Amazon. If you want to do more serious strength training, then look at getting a good quality Olympic barbell. 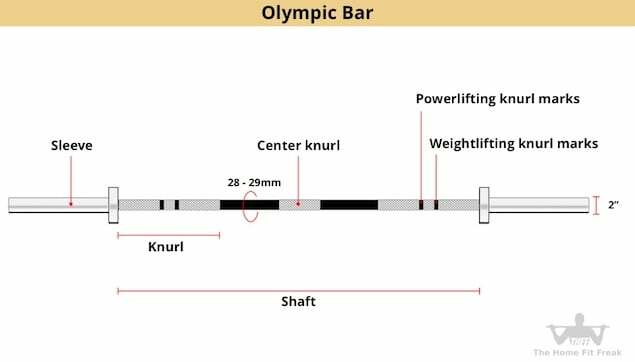 Olympic bars are in a whole other league when compared to standard barbells, and are necessary for serious weightlifting. 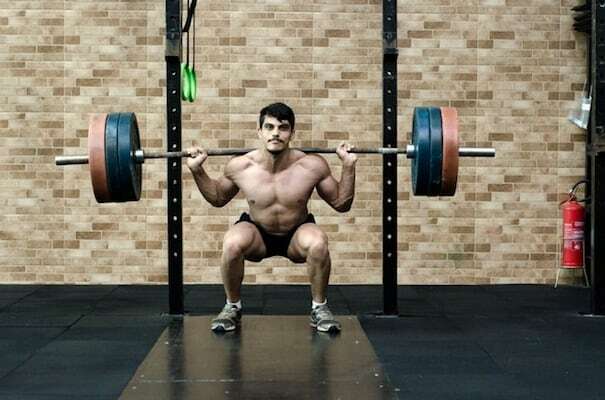 If you’re looking to get into Powerlifting, Olympic Weightlifting, or even serious CrossFit, then you’re going to need a good Olympic barbell. They are used in competition, and are suitable for accurately assessing your strength progression, which is why Olympic barbells are made to strict specifications in terms of length, weight, diameter and tensile strength (depending on their specific purpose). A full rundown of what makes up an Olympic bar is beyond the scope of this article, but is covered in our extensive guide: The Best Barbells, Barbell Sets, and Buyer’s Guide. The primary difference, however, between the two types of barbell is in the sleeve (the part of the bar that you load weight plates onto). Olympic barbells have a rotating sleeve, with a 2″ diameter, while standard barbells have a fixed sleeve with a ~1″ diameter. The Olympic bar’s rotating sleeve minimizes the rotational forces on your wrist, and allows you to lift significantly heavier loads. While good Olympic barbells are significantly more expensive than standard barbells ($200 – $400 for a good all-purpose bar), they’re also much better quality and will last forever if you give them a bit of TLC. As mentioned above, if you’re planning to get into any of the lifting sports, or are just looking to get into more serious strength training, then an Olympic bar is well worth the money. 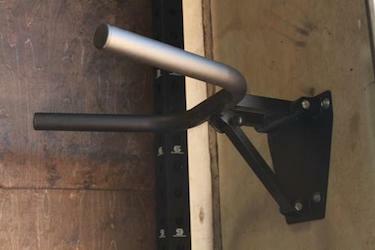 The Rogue Bar 2.0 from Rogue Fitness is an exceptional all-purpose barbell. 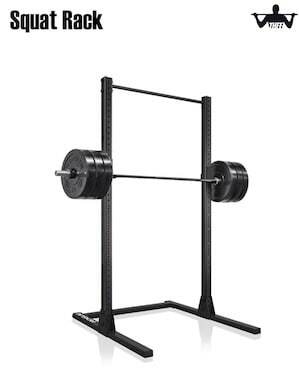 If you want to utilize your barbell to best effect, then we also recommend picking up a power rack (also known as a power cage) or squat rack (also known as a squat stand). This is because a good rack will allow you to safely do all of the main compound lifts, namely the squat, bench press, deadlift, and overhead press, without the need for a training partner to spot you. 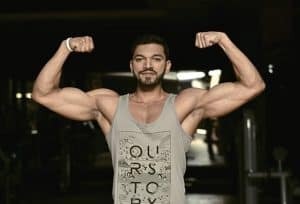 In fact, if you want to do any of these exercises with significant weight, at home, and with minimal risk of serious injury, then a rack is an absolute must. 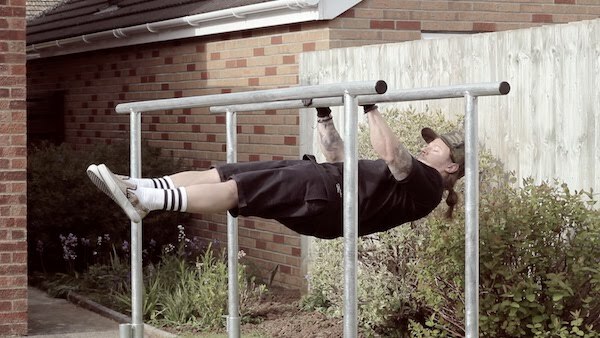 Many racks also have pull up bars and other bodyweight attachments, meaning you can integrate the core calisthenics exercises (e.g., pull ups and dips) with traditional strength training in the comfort and convenience of your own home. Power racks are the more serious of the two main options. They’re comprised of four upright posts that create a square or rectangular working area in which to do your lifting. Holes run the length of each upright at 1″ – 3″ spacing (depending on the power rack) into which ‘safeties’ are attached between the front and back. There are various types of safeties, but the ‘pin & pipe’ variation are the most common, and it’s these that allow for safe lifting of heavy weights at home by preventing your barbell from crushing you if you’re unable to complete a repetition and rack your barbell. If you have the cash and the room in your home gym, then definitely go with a good power rack. The Rogue R-3 Power Rack is hands down the best quality power rack for home use on the market. It’s also very expensive and needs to be bolted to the floor for stability. If you want a more affordable and versatile rack that doesn’t need to be bolted down, then check out Rep Fitness’ PR-3000 Power Rack. If you’re short on space in your home gym, and / or you don’t want to part with too much of your hard-earned money, then a good squat rack might be a more suitable option. 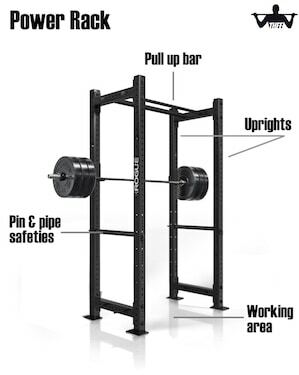 Squat racks only have two uprights, meaning the working area is all of the open space in front of them. This reduces the total area required in your home gym (though technically the footprint is often fairly close to that of a power rack), but also reduces their stability. Like a power rack, the uprights have holes drilled or pressed into them into which various attachments are placed. The main squat rack attachments are J-cups (what you rack your barbell on), and safety spotter arms, which provide the fail safe if and when you need to bail on a heavy lift. Like most power racks, many squat racks also have a pull up bar as standard, and accept other bodyweight attachments like dip bars. While many good squat racks can be bolted to the floor if you wish, most do not require it (unlike most power racks). All-in-all, a good squat rack is an extremely useful and versatile strength training tool. What it sacrifices in stability, it makes up for in space-saving functionality and general affordability. If you’re looking to do good quality barbell training, but you’re not going to be really pushing the limits of your strength (and so won’t be bailing on lifts), then a good squat rack is a sound investment. Rogue’s SML-Series of squat racks are the best there is. Rep Fitness’ V2 Squat Rack with Pullup Bar is a solid, feature-packed alternative. Generally speaking, weightlifting machines refer to resistance training apparatuses that employ cables and pulleys to lift stacks of weights – also known as cable weight machines. Of course, there are other types, such as hydraulic and pneumatic weightlifting machines, as well as the ever controversial Smith Machine. We’re going to limit our recommendation to cable weight machines, as these are the most common, easily accessible, and most functional as far as home exercise equipment is concerned. 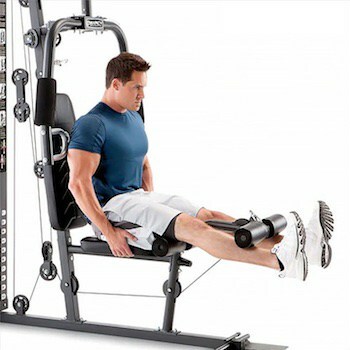 They’re versatile: You can build muscle and strength throughout the entire body with this single piece of equipment. They’re very effective: By isolating muscles and muscle groups, home gyms can help build muscle and strength quickly. They’re space-efficient: Depending on the particular home gym, they can take up relatively little space. The current market and cable weight technology is such that, no matter your needs or budget, there is almost certainly a good quality and affordable home gym available to you. We’ve previously looked at the 6 best home gyms, and provided a detailed run down of the best machines at varying price points – make sure you check out that article if you’re seriously considering picking up a multi gym. Before we close out the weightlifting equipment section, we’ll address some common debate around lifting with free weights (e.g., a barbell) vs using machines. There are plenty of people in the strength training community who strongly advocate weightlifting with free weights only, and dismiss the use of machines as ineffective. It’s often suggested that free weights produce greater muscle activation because they require stabilization of the body, whereas machines don’t. Theoretically, the greater muscle activation leads to greater strength development. This argument, however, is not supported by scientific research. Numerous studies (such as this one), have found little or no difference in strength development when training with machines vs free weight training. Moreover, the training principle known as specificity suggests that strength development is highly specific to the training methods used. 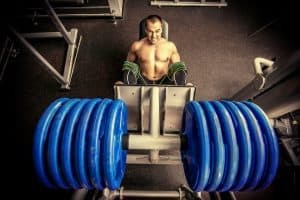 Finally, if the goal of your strength training is to build muscle, rather than functional strength, then it matters not whether you use free weights or machines – both will increase the size of your muscles. 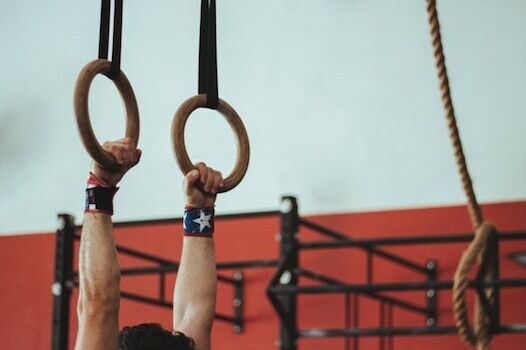 Almost any endeavour in life worth completing requires hard work and inevitably comes with frustration, and training using your bodyweight is no exception. But, those who’ve done dedicated bodyweight (aka calisthenics) or gymnastics training know just how rewarding it can be. The capacity for human movement is truly extraordinary, and the potential for the human body to defy gravity borders on the phenomenal. The skills that can be learned through proper calisthenics and gymnastics training make navigating through everyday life easier. Plus, they look damn cool. Even if you’re not looking to be able to do complex and visually appealing gymnastics manoeuvres, you can still make impressive gains in strength, power, endurance, flexibility, and overall health and fitness using just your bodyweight as the training stimulus. And, the reality is that you need very little to get started, which makes bodyweight and gymnastics training perfect for the home exerciser. Indeed, minimal space and equipment is required to complete beginner through advanced bodyweight training routines. There are, however, key pieces of equipment that will maximize the effectiveness of this type of training. Most are inexpensive and won’t take up much room in your home gym. We go through them below, separating them into those that require a stable surface and those that utilize an unstable surface. Bodyweight training using a stable surface means that you or the piece of equipment you’re using is in contact with a solid, immovable surface (i.e., the ground). There’s nothing special or unique about this – it’s generally how things work in everyday life. It simply means that your muscles don’t have to do any work to stabilize your equipment before you can complete safe and functional exercises. The importance of this will become apparent when we discuss training with an unstable surface. 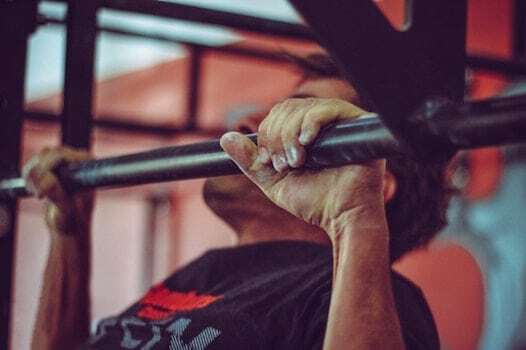 Pull ups and dips are two of the foundational exercises in bodyweight and gymnastics training and, in our opinion, these compound exercises are equal to the squat, deadlift, bench press and overhead press in building functional strength and ability in the upper body. They’re also principle exercises in progressions to more advanced techniques such as muscle ups and planches. Generally speaking, pull up bars and dip bars are the most common pieces of equipment that utilize a stable surface, and if you’re at all serious about training at home, then you need access to both. 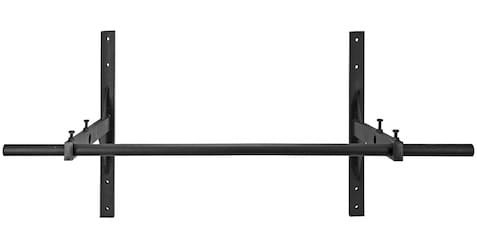 If possible, you’ll want to get yourself a wall- or ceiling-mounted pull up and / or dip bar. They’re the most stable and safe options, and will allow you to do advanced progressions and weighted exercises (e.g., using a dip belt). The Ceiling/Wall Pull Up Bar System and OneFitWonder Wall-Mount Dip Bar, both from Fringe Sport, are excellent options at great price points. If you have a decent amount of space in your home gym, and some extra cash to spend on your bodyweight training, then a power tower is a good, versatile piece of equipment. 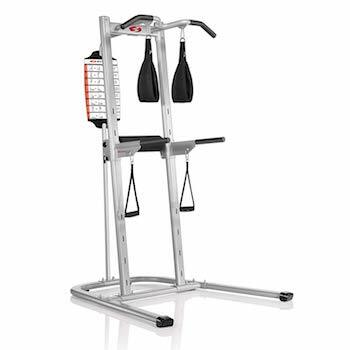 At a minimum, power towers combine a pull up bar and dip bar into a single free-standing apparatus. Many towers also include vertical knee raise stations, push up platforms, and even plyometric boxes. The main advantage here, is obviously that the single piece of equipment will cover your bases as far as core bodyweight exercises are concerned. Overall, they’re great for developing strength and control through the core and upper body. Power towers also have some drawbacks. They can lack stability, and may wobble a bit during use. This will largely depend on the quality and weight of the power tower you go with. If money isn’t an issue, and you just want an overall great power tower, then check out the Xmark XM-7617 Power Tower. If money is more of an issue, then the Bowflex Body Tower may be a better option for you. Make sure to read through our article on the best power towers in 2018 for a complete rundown on the top options currently on the market. Bodyweight or gymnastics training on an unstable surface is exactly as it sounds – exercises are done on a surface or piece of equipment that is unstable and can move through one or more planes of movement. Balance boards, hemispheric balls (e.g., BOSU balls), and stability balls are all common examples of equipment that provide an unstable training surface. It’s been suggested that training on unstable surfaces places greater stress on the neuromuscular system than training on stable surfaces, and can produce significant improvements in strength, power, balance, and core stability, as well as increase the strength of joints and reduce injuries in the lower body. Scientific research has found partial support for these claims. We’re not going to go into that research here, but you can find some great info in this study and this meta-analysis, as well as the articles linked earlier. Aside from stability balls for core strengthening work and injury rehabilitation, we don’t see a huge mount of value in most instability training equipment. The exception to this is gymnastics rings. Effectiveness: Rings develop strength and muscle mass quickly. It’s also easy to make changes to the exercises you performa and ensure well-balanced development. Convenience: They’re perfect for home workouts, because they’re quick and easy to set-up in lots of different places. All you need is an overhead anchor, and a bit of room to move and you’re good to go. Awesomeness: The skills you can develop through ring training are pretty freaking awesome. It’ll take a good deal of dedication, discipline and hard work, but the pay off is huge. 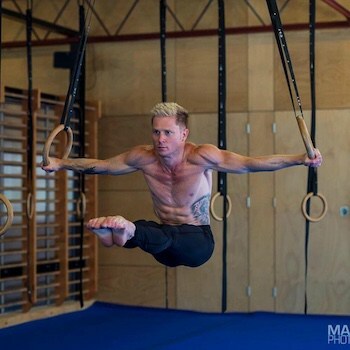 There are a few different things to consider before picking up a pair of gymnastics rings, so have a read through our review of the 7 best gymnastics rings to help you make the best choice for you. Generally speaking though, Rep Fitness’ wood rings are great quality and very affordable. A workout routine simply cannot be well-balanced without including at least some cardio. Cardio is the form of physical activity most strongly linked to positive health outcomes, and reduced risk of chronic disease. And it’s true, you certainly don’t need special equipment in order to incorporate good quality cardio into your workouts. Going for a jog outside, or playing a sport like soccer or basketball are excellent options. There are, however, times and situations when these things aren’t practical or safe – such as when it’s very hot or cold outside, or after dark (in some parts of the country / world). In these instances, having a good cardio machine in your home gym is perfect. Therefore, no good article on great home exercise equipment is complete without a discussion on, and recommendations for, cardio equipment. In our view, simple is best here – either a treadmill or an exercise bike is all that’s needed. Running and cycling are two of the most effective forms of aerobic exercise, and require little to no skill or training to complete. This means that pretty much anyone can gain the same benefits from these simple exercises. You could look into a machine that provides something a bit different, such as an elliptical or rowing machine, however these are usually significantly more expensive and take up more space than either a treadmill or exercise bike, and provide no additional benefit. If you enjoy running, and don’t experience any serious problems in the the joints of your legs, hips or lower back, then a treadmill is a good option. 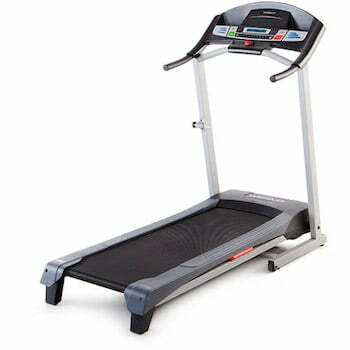 The Weslo Cadence G 5.9 Treadmill is a good, low-cost folding treadmill that’s easy to set-up and use. Its a good choice if you’re just looking to add some uncomplicated walking or jogging into your home workouts. 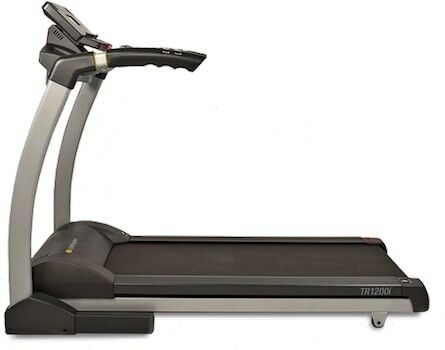 If you’re looking for something more feature-packed, then check out the LifeSpan TR1200i Treadmill. It’s more expensive, but also better quality and more suitable for longer-duration, higher-intensity running. Running is a high-impact exercise, and for some people it can take it’s toll on their joints, especially the knees and ankles. Cycling is an excellent low-impact alternative – if you suffer from joint problems, or just want to reduce the strain on your body then a good exercise bike is perfect. The most common type of exercise bike is the upright bike. There’s a huge amount of variation in upright exercise bikes; you can get a basic one that’s suitable for some standard exercise, or a top of the line bike that closely replicates the feeling of actual cycling. 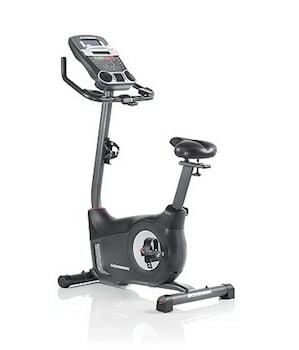 The Schwinn 170 Upright Bike is the best option if you want a reasonably priced upright bike that’ll do it’s job without fuss. 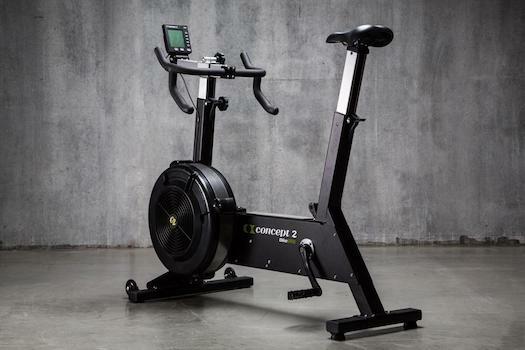 The Concept2 Bike Erg is the best there is if you want a top-end stationary bike. Our recent article, The Best Upright Exercise Bikes for Almost Anyone has a lot more detail and recommendations. There are some less common alternative options in exercise bikes too. 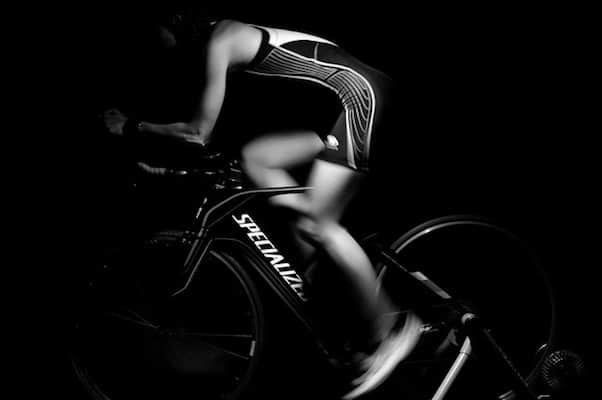 Air bikes are a great alternative for people who want to crank up the intensity by adding in some upper body work. They use air resistance and provide a cardio challenge like no other. 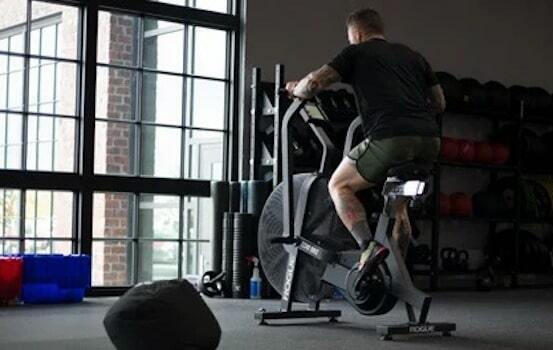 They’re known as “Satan’s Tricycle” for good reason – if you’re not used to them, then a few minutes on an air bike will have you questioning how you could ever think you were in any kind of shape to begin with. If you’re looking to explore this option further, we’ve previously reviewed The 6 Best Air Bikes. Upright bikes, including air bikes, have a couple of key drawbacks: They can exacerbate back pain, place strain on the neck, and put pressure on the ischial tuberosities (known as the “sitting bones”). These problems can affect anyone, but tend to be the most concerning for seniors and older adults. Recumbent exercise bikes address these problems. They have a bucket seat and forward facing pedals, which allows for a more natural seated position, and are much kinder on the hips, back and neck. 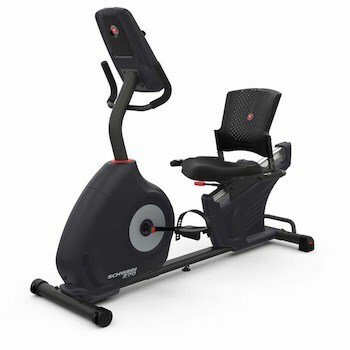 If you find upright bikes uncomfortable, consider a recumbent variation: The Schwinn 270 Recumbent Bike is the top-of-the-line recumbent bike, and good option if want something that’s high quality with a ton of features. At the other end of the recumbent bike range is the Fitness Reality R4000 Magnetic Tension Recumbent Bike. It’s simple, inexpensive and effective, and perfect if you want to do some comfortable, strain-free cardio without breaking the bank. If you’re seriously considering picking up a good treadmill or exercise bike, or in fact any heavy piece of exercise equipment, then ensure you have the appropriate flooring for your home gym. You don’t have to sacrifice your floors for your health and fitness. Conditioning refers to exercises that aim to simultaneously build cardiovascular and muscle endurance, as well as muscular strength. Its primary purpose is to improve the capacity of the body’s different energy systems (e.g., aerobic, anaerobic, etc.) by employing real-life motions and developing specific skills. 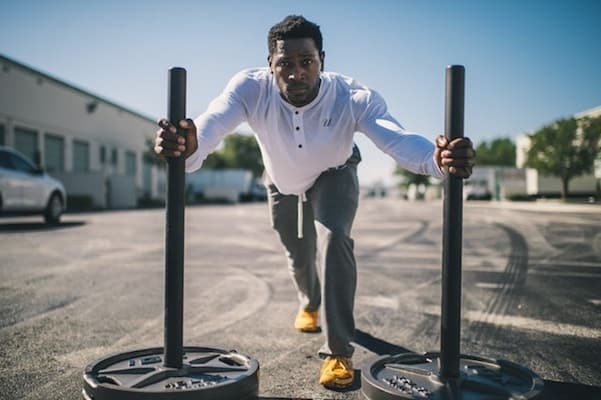 Strict conditioning programs are generally used by athletes to help ensure they’re able to perform their chosen sport at their maximum for as long as possible. As such, conditioning exercises tend to be gruelling. Sounds complicated, right? Well, it can be. If you’re not trying maximize your performance for competition in a particular sport, then you don’t really need conditioning. That said, general conditioning is a thing, and training your different energy systems has the same benefits for your overall health and fitness as some of the more ‘regular’ forms of exercise discussed above. In reality, conditioning isn’t necessarily distinct from the forms of exercise above – it’s just a unique way of completing them. High intensity interval training (HIIT), for example, is a form of cardio conditioning that aims to increase the capacity of the anaerobic energy system and power output of relevant muscles by doing repeated short bursts of very high intensity activity (e.g., running or cycling sprints). Some people find this kind of training less boring or tedious than continuous moderate intensity cardio, like jogging, and therefore more effective for keeping fit or losing weight. So, we’ve gone a long way to make a short point: You can use any of the equipment above for conditioning, you don’t need anything special. However, there are a few kinds of relatively inexpensive equipment that allow for particularly effective conditioning exercises. We’re being a bit naughty here by lumping two very different kinds of rope in together: Speed ropes and battle ropes. But, while they’re quite different equipment, they can both be used to equally great effect. The speed rope (or jump rope) is a traditional training tool that has stood the test of time. As far as conditioning is concerned, jumping rope is extremely valuable because you can transition between high-intensity anaerobic work and more moderate-intensity aerobic conditioning without stopping. Moreover, speed ropes help condition the kind of lightness-on-the-feet that benefits many sports, such as boxing and other combat sports. Jumping rope has also been shown in numerous studies to help build general balance and coordination. If you want a light, fast and durable speed rope, then check out The Rogue SR-2 Ballistic Speed Rope 2.0. 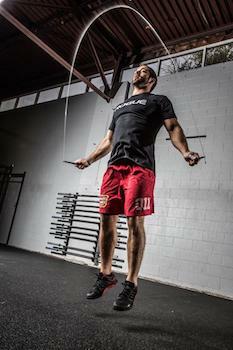 For something more moderate in price and performance, Rep Fitness’ Speed Cable Jump Rope. If you’re after more detailed info, then have a read of our article on The Best Speed Ropes. Battle ropes are increasingly popular training equipment as they provide an efficient and extremely vigorous workout, especially for the upper body. Battle rope training has been shown to effectively condition aerobic capacity, muscular endurance and power, and even help to improve the shooting accuracy of collegiate basketball players. Battle ropes, while somewhat cumbersome, are also versatile. If you don’t mind lugging them around, then they can be set up virtually anywhere with a ground-based anchor, like a post or tree. For this reason, they’re a great addition to anyone’s home exercise equipment arsenal. We’ve previously looked at the best battle ropes on the market, so check out that article if you want a detailed breakdown of the best battle rope options currently available to you. 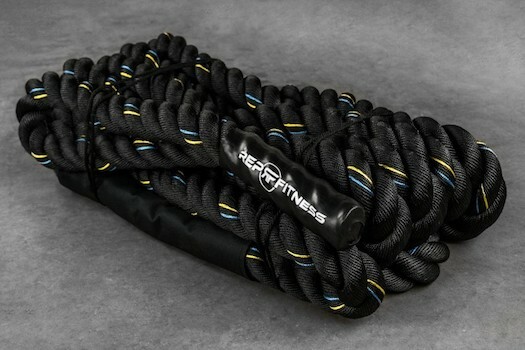 If you want to skip that, then our top recommendation is the Rep Fitness v2 Color Battle Rope. They’re nice and cheap, good quality and, in our opinion, the hands-down best there is. If you’re aim is to build and condition muscular power – that hallowed combination of strength and speed – then there are few training methodologies more effective than plyometric training. Plyometrics involves explosive movements that are characterised by rapid stretching followed by shortening of particular muscle groups. One of the most common forms of plyometrics is jump training, which helps to develop powerful, propulsive jumping ability needed for sports like volleyball and basketball. 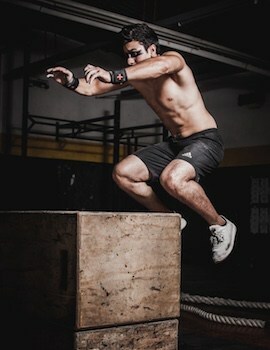 Plyometric boxes (plyo boxes for short) are very commonly used equipment in this endeavour. With a bit of solid guidance, plyo box training is really easy to incorporate into your home workouts. Plyo boxes come in different shapes and sizes, and can be made in different ways. A full description of the differences between boxes is beyond the scope of this article. Our review of the 9 best plyo boxes, however provides an in-depth description of the various types of plyo boxes, recommendations on which are the best and most suitable for different people and purposes, and includes a number of plyo exercises to get you started using a plyo box. 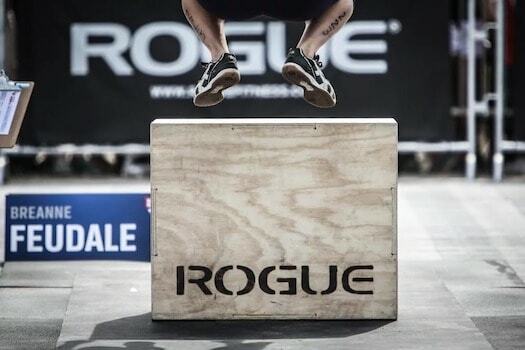 At a glance, the Rogue Games Box is a great 3-in-1 plyo box that’s safe, versatile and well-suited to all home exercisors – from novices to veterans. Well, there you have: The Best Home Exercise Equipment for Almost Everyone. No matter your individual needs or training goals, this list will have you well on your way to building a home gym you can be proud of showing off to your friends and family. Cost: Irrespective of what equipment you go with, home exercise equipment will save you a heap of money. In some instances, the initial cost may be substantial, but over the long run you’ll save ten fold by doing away with that gym membership. Convenience: When you have your own gym, you can get your sweat on when it suits you. Plus, there’s no more trekking to the gym or sweaty drives home – walk from one room to the next and it’s on! Comfort: Some of the main drawbacks of a commercial gym are the lack of privacy, unavailability of equipment, and the need to put up with gym rats. None of that’s a problem in your own home gym. If you found the article valuable, why not share it with your family and friends on social media? As always, best of luck with your home workouts. Remember: When it comes to our health and fitness, we can make excuses or make the effort, but we can’t make both.